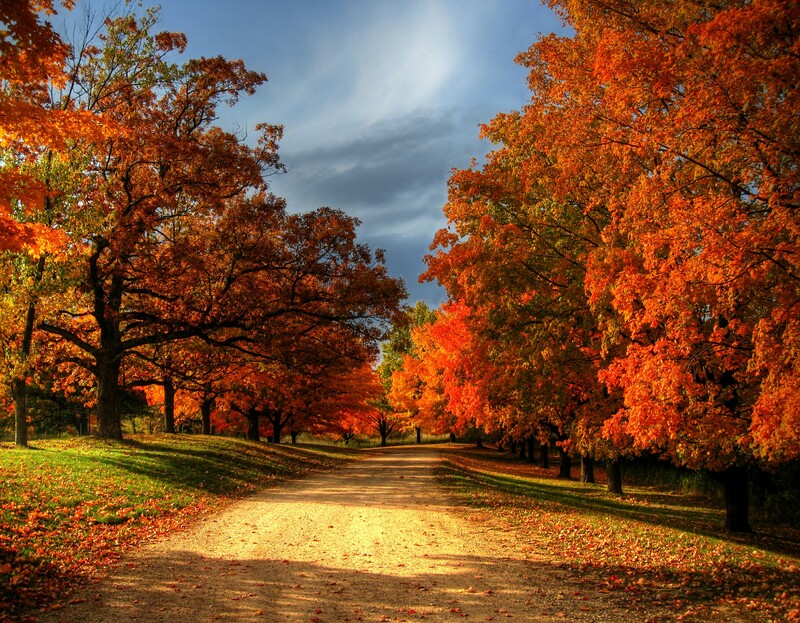 Every good person deserves a New England autumn. Even a bad person could quite possibly be redeemed by one. I think this at least once every day right now. I used to live in a place where the Indian Summers clung to the aging year like golden spun honey–slowly adding layers of beigy gold shine until one morning a brown frosty coating had settled in to stay through the winter. This northern autumn takes no such time. One day, you’re sweltering, melting, and swatting flies too lazy and hot to move out of the way and the next morning, you wake early to scamper down the hall and retrieve an extra blanket for your bed. The velvet humid air turns sharp over night and the streets that were just yesterday covered in lazily blowing circles of cut green grass are suddenly filled with a cacophony of fall color that seems shameful to trod upon. At first, when people asked me how I liked living back east, I just kept saying, “It’s so GREEN. It’s just so GREEN.” And people took it however they wanted. I couldn’t even find words. Really. It’s not the piney clean evergreen of Tahoe or Denver. It’s not the sagey muted green of the southwest or the neon green of Las Vegas. People from the west don’t have the vocabulary to understand the density of New England green. It’s a deep brilliant emerald that is unapologetically unceasing. To those of us who aren’t desensitized it’s simply too much. Too rich. Too many bites of chocolate cake on a full stomach. Too green. But when the green gives up and the colors come, when the landscape fades to a clean smelling scene straight out of a painting with tufts of fire lining the streets and burning through the street gutters, it’s soooo good–such a clean fitting death to all of that rude inundating greenness. People who sleep in miss the whole point of a New England autumn. Sure, you get to catch the yellow dappled afternoons and raucous bonfires, but you’re missing the most important part–sitting in the kitchen window hugging a mug of coffee watching the leaves flit down heavy with dew, the late season panic of bushy tailed squirrels cramming acorns in their cheeks and playing in the leaf drifts like giggling children, and watching the early fog lift to show a brilliant new landscape each morning with spots and stripes and gashes of color strewn through the helpless green expanse. Nature is truly the finest artist and New England’s autumn is her most breathtaking canvas. If you’ve seen photos, you know half of the story. It’s the difference between seeing a picture of the Sistine Chapel and standing beneath it. It’s the difference between listening to a love song on the radio and actually being in love. What I mean to say, I guess, is, “Do come! Please, do come and play with me.” Bring galoshes. Something about wading through crisp fallen leaves screams for galoshes and fresh cider spiked with whiskey. I’ll keep some mulling on the stove for you, just in case. This entry was posted in Just Being Me, Travel and tagged autumn, Connecticut, CT, fall colors, New England, Travel. Bookmark the permalink. Great writing, as always!! We are currently on a train heading for SFO to fly to Quebec. In 5 days we get on a ship for a “leaf peeper” cruise and some of our ports are in the Maritimes and New England. I hope we will have some of the colors and magic you have described, and are also in your picture. Beautifully written. I was born and raised in Massachusetts, now living in Florida. And this made me miss home so much!